Dr. Goldfoot plans on taking over the world with his beautiful female robots, who seduce rich and powerful men. Robot #11/Diane is sent after millionaire Todd Armstrong. Secret agent Craig Gamble tries to stop the plot but ends up in the torture chamber with Armstrong. The parody of "The Pit and the Pendulium" is the highlight of the film which also includes bits by Annette Funicello, Harvey Lembeck and Deborah Walley. Regions are unavailable for this movie. 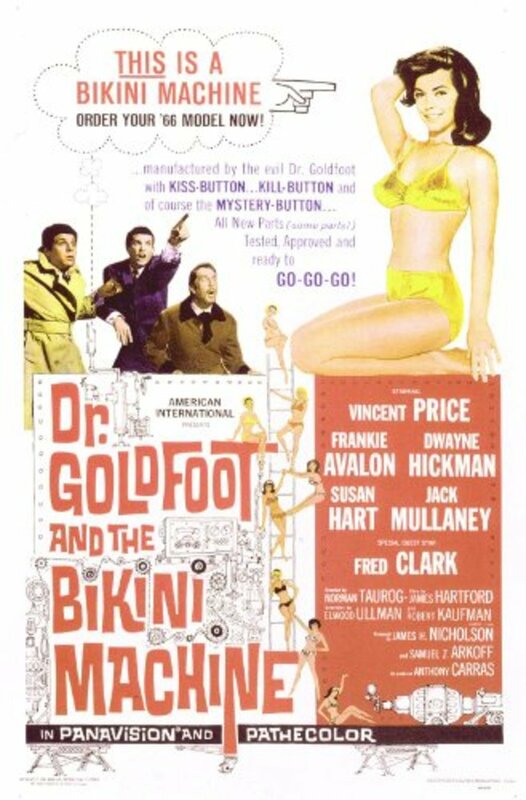 Click the "Watch on Netflix" button to find out if Dr. Goldfoot and the Bikini Machine is playing in your country.